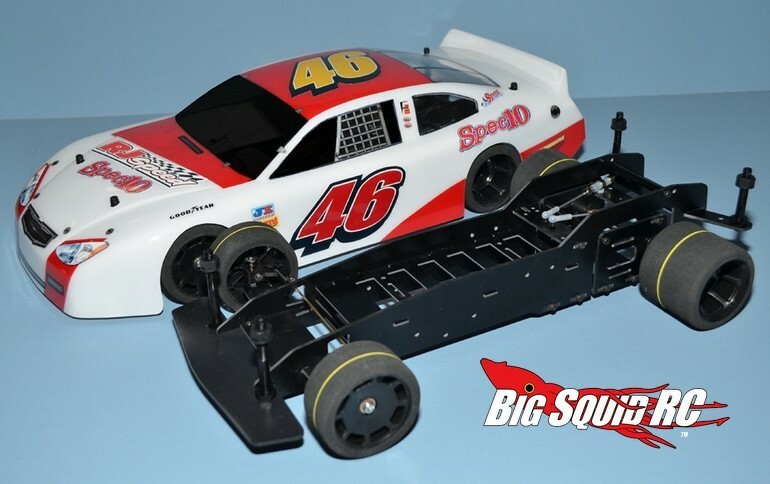 RJ Speed Spec 10 Oval/Road Kit « Big Squid RC – RC Car and Truck News, Reviews, Videos, and More! Spec racing is typically an affordable and fun way of scratching your rc itch. The latest spec racer to be announced by RJ Speed is the Spec 10 Oval/Road Car Kit. The scoop with the Spec 10 is that it is an affordable and ultra-easy to build kit that would make a great spec class at your local on-road track. A ladder style chassis is combined with a simple rear suspension to make a spec kit that can turn some seriously quick laps on anything from asphalt to packed dirt, without breaking your wallet. The Spec 10 is street priced at $159, it has a part number of #2035, and more details can be found on RJ Speed’s Website. Hit Up This Link to read about more new releases from RJ Speed on BigSquidRC.